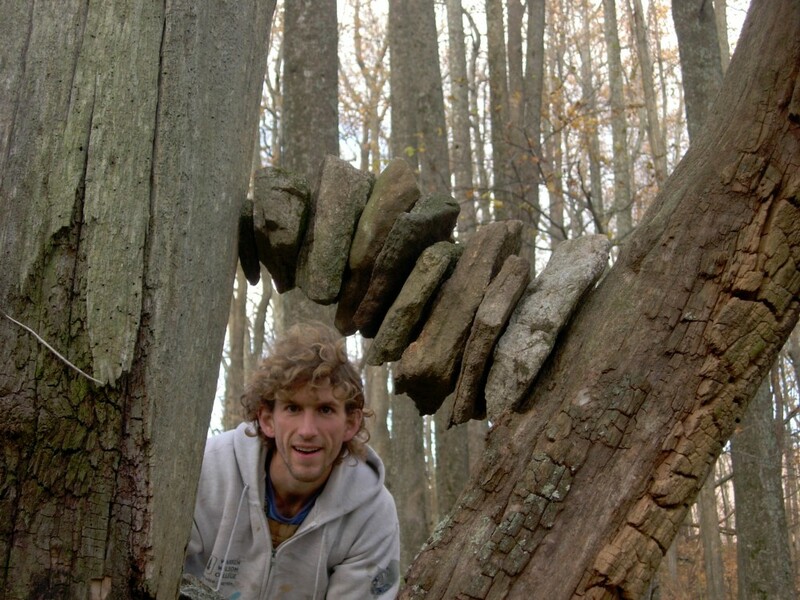 Greetings, my name is Peter Pfister and for as long as I can remember I have been in love with the timeless art of manipulating and organizing stones. As a child I spent countless hours building stone forts, walls and creek dams in the forest of Unity NH. At 18 I left my sweet forest home to embark on a journey to the ancient mountains of Asheville, NC. I enrolled at Warren Wilson College. The summer before college I had a reacuring dream. I was beautifying house and yard with stonework. All the people lived on the side of a misty mountain and they were all smiling and laughing and loving my stone work. At this point I really had no idea that this dream would become a reality. WWC turned out to be the perfect place to make my dreams a reality. The college has a work program where the students do all the work from auto shop to farming to cleaning. 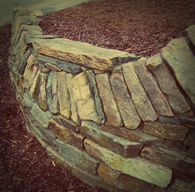 I was on the landscaping crew when I first learned the art of stone masonry. Some students had taken iniative and were building a stone meditation hut. I jumped in on the project and immediately knew that this was for me. Once the meditation hut was complete, I started my own project of building a brick wood fired baking oven faced in stone at the student run sage cafe. I was hooked for life. Upon Graduation in 2004 I immediately started getting jobs and have been building with stone ever since.